With today's update, we're excited to announce that the on-premises data gateway is now generally available in Azure. This gateway helps you securely connect your business apps in the cloud to your data sources on premises. You can use the gateway to move data to and from the cloud while keeping your data sources on premises. The gateway currently supports Azure Logic Apps, but in the next few months, will also expand to support Azure Analysis Services. To get the latest gateway installation, download the gateway installer. This update gives gateway admins even more control over data gateway settings. 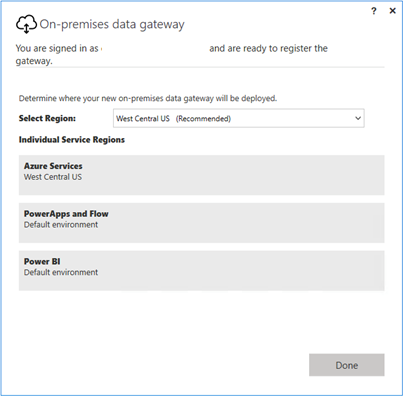 When you install the gateway on a local computer, you can now select the region for the gateway cloud service and Azure Service Bus communication channel that you want to use with your gateway installation. Previously, this region defaulted to your Azure Active Directory tenant’s location. We will move existing gateways to match the original location of your tenant. So if you currently use the gateway, you might notice this change. However, this update won't affect currently running logic apps, which will continue to work as usual. Note: You can't change this region after installation unless you uninstall the gateway and reinstall. This region also determines and restricts the location where you can create the Azure resource for your gateway connection. 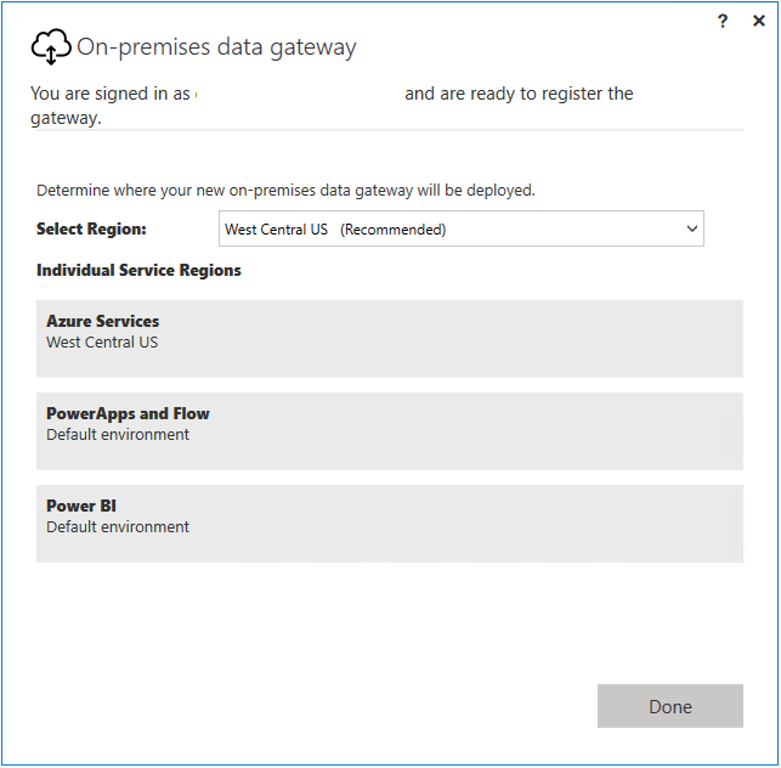 So when you create the gateway connection resource in Azure, make sure to choose the location that you selected during installation so you can select your gateway from the installed gateways list. You can now delete your gateway connection resource in Azure and associate your gateway to a different Azure resource. The ability to delete the gateway installation is coming soon. Also, we’re adding PostgreSQL as a new connector that support on-premises data sources for Azure Logic Apps. This connector follows two other connectors that we introduced a month ago, MySQL and Teradata. Learn more about how to access data sources on premises through the data gateway for Azure Logic Apps.